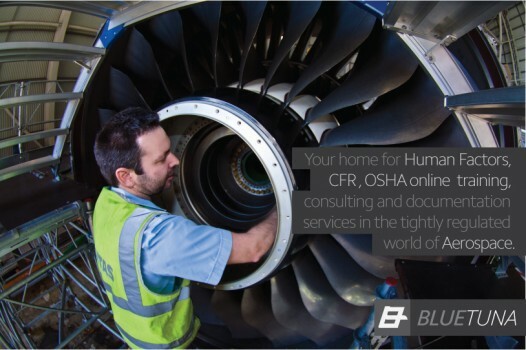 BlueTuna offers the most complete and accessible online training for the tightly regulated world of Aerospace. Due date December 1st, 2013, Global Harmonized System training replaces 29 CFR 1910.1200 as the Hazardous Communication "Right To Know Law". This OSHA course is required training by December 1st, 2013. This course is designed to protect employees from hazardous chemicals used or stored in the work setting. 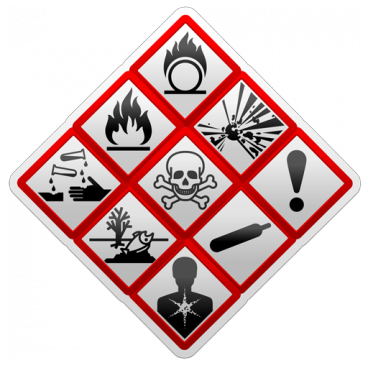 Also referred to as the "Right To Know Law", it requires that Hazard Communication training and information be proved to any employees who have the potential of being exposed to a hazardous chemical "under normal conditions of use or in a foreseeable emergency." 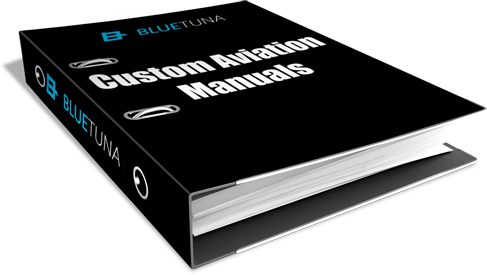 Blue Tuna leads the industry with over 30 years experience developing custom manuals for almost every type of aviation service company. Blue Tuna documenting and training in the world of Aerospace. When it comes to aviation training, BlueTuna puts focus on specifics so you get the EXACT training you need.